Gabrielle Fuller has Chronic Lyme Disease, but she is surviving day by day to live her best life. POINT PLEASANT — A Mason County woman discovered and self-diagnosed an ailment which plagued her for years, now she is spreading awareness of the disease. 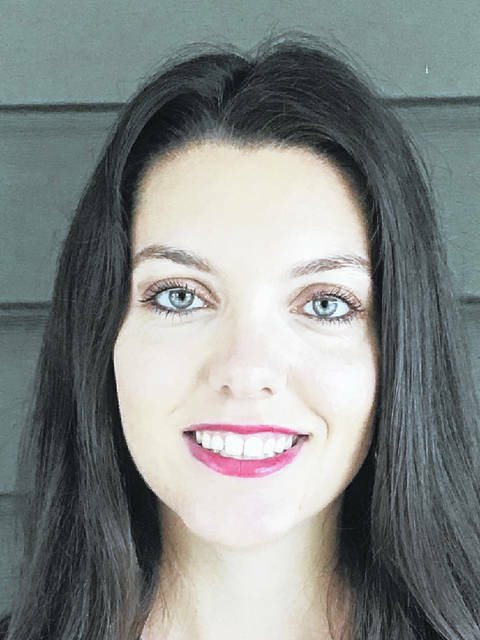 Gabrielle Fuller, of Point Pleasant, has Chronic Lyme Disease, also known as Late Stage Lyme Disease, and has been battling the ailment for over a decade. Fuller explained after the testing, her spine began burning and she decided to see a neurologist. “It took me months to get in. At this time, I needed someone with me at all times, so that I could care for myself, my husband, and the girls properly. My precious mother stepped in, thank God for her. I thought I was dying. I would go to bed at night and my body would jerk without warning, my hands shook, I had tremors, deep bone pain, joint pain, brain fog, dizziness, stuttering, numbness, and more. I would go to bed at night and not know if I would wake up in the morning. I started to compose letters in my head to my daughters for them to open on their future birthdays, weddings, and upon the births of their children. I did a lot of praying and I questioned God’s plan for my life. I cried uncontrollably, and often,” said Fuller. She went through several more tests such as MRI’s of her brain and spine, multiple blood tests, hearing tests, inner ear tests, breathing tests, and an EMG. Fuller shared she prayed for answers as no one seemed to be able to tell her what her ailment was. “After a church service one night, God revealed to me that it was Lyme Disease. I researched it and turns out that most tests come back negative if you’ve had it for a long period of time. I also realized that I had been exposed to toxic mold which had sent my immune system into overdrive,” said Fuller. She said through the website www.ilads.org, she was able to discover her ailment and found a physician referral for a Lyme Literate medical doctor. Fuller explained she pieced together her symptoms and she has been suffering from the disease ever since she was a young teenager, her health gradually deteriorating as she aged. “I honestly don’t remember what it feels like to be normal. I’ve had tingling feet, low blood pressure, rapid heartbeat, crawling sensations, inability to swallow, chills, sweating, fatigue, dizziness upon standing and more for at least 14 years, but no one symptom was ever constant,” said Fuller. She commented once treatment started she began doing much better, though her body is slowly recovering. Living with the disease is an ongoing daily struggle. “The last two years have been so hard on us, but I have grown so close to the Lord through it all. He has been with me every step of the way and provided for our every need. He is so good to me, so much better than I deserve. My husband has been my rock and my mom has been such an amazing help to me. My church has been such a great support to me and I appreciate everyone that has been praying for me,” said Fuller. She explained living with Lyme Disease does not have to be death sentence to those suffering, once a proper diagnosis is given and treatment can begin, then one’s normal life can return. Fuller has created a group page on Facebook, Ohio Valley Lyme Disease Support Group, to help raise awareness about Lyme Disease and help support others suffering from the ailment. https://www.mydailytribune.com/wp-content/uploads/sites/42/2018/07/web1_0724.Lyme_-1.jpgGabrielle Fuller has Chronic Lyme Disease, but she is surviving day by day to live her best life.